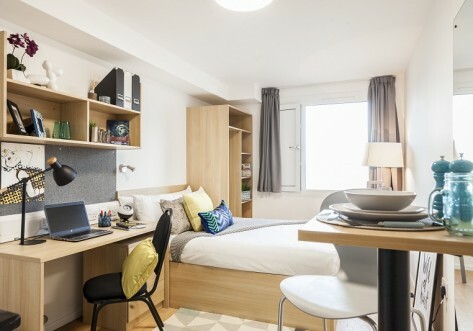 Central Studios Ealing is a stylish student accommodation in a wonderful West London location, just a few minutes walk from University of West London (UWL) and the Met Film School. 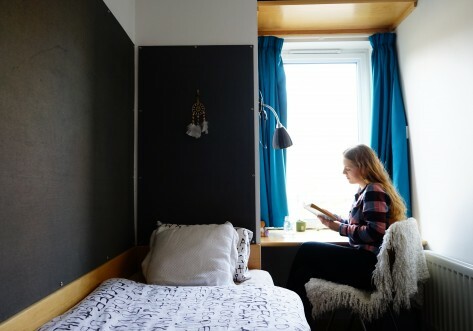 With comfy small DOUBLE BEDS, generous work spaces, your own sparkling EN SUITE shower room and stylish kitchen areas, each studio offers modern student living in a fantastic location. And when you feel like catching up with friends there’s a FAB SOCIAL SPACE on site too! Rent is fully inclusive of ALL BILLS, plus UNLIMITED HIGH SPEED INTERNET (WiFi throughout and a minimum of 20Mbps broadband) and FREE CONTENTS INSURANCE. And, our prices are PER STUDIO not per person, so great for sharing! Central Studios Ealing is located just moments from The Met Film School at Ealing Studios, and the University of West London (UWL) is a short 7 minute stroll away. We're also in a great location for Brunel University, Ealing Hammersmith & West London College and Ealing Studios – Delamar make up academy. Our Ealing location is the perfect place for student life; with it's trendy cafe culture, green areas, local shopping and quick and easy access into central London you couldn't ask for more! Ealing Broadway Station is just a few minutes away, with access to the District and Central Lines, and overground trains to Paddington taking just 12 MINUTES, Imperial College London, UAL and a huge range of other London Universities are all within easy reach too! If you’re studying in London this year but have not been to Ealing before, it’s definitely worth a look. 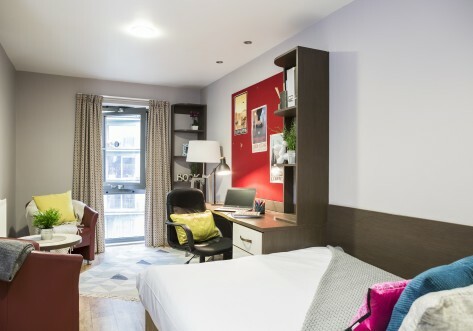 With the Met Film School and University of West London just around the corner, Ealing Broadway station just minutes away, and access to the District Line (for Chelsea’s famous Kings Road), and the Central Line (direct to Bond Street and the West End in 25 minutes) what more could you need. And with Ealing Common opposite, you can enjoy peace and quiet and fresh air too! Self-contained studio living starts here. Our Eco Bronze studios contain an en-suite shower room, single bed, bags of storage, fitted mini-kitchen, breakfast bar and study area. The same beautiful Bronze studio with all the same great features, but now with a bit more space. If you like to spread out, then this more spacious studio could be for you. 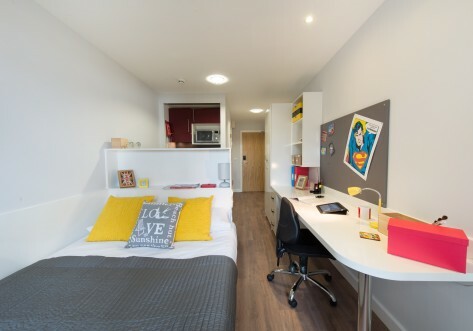 The top notch facilities feature an en-suite shower room, small double bed, storage, fitted mini-kitchen, breakfast bar and study area. This beauty of a studio, even bigger than the Silver but with the same quality features and fittings, comes with space guaranteed. Ideal if you’re flying solo and like to spread out or there’s room enough for two to share at no extra charge. Go Platinum and here’s space to do your thing. Still treated to the en-suite shower room, small double bed, oodles of storage, fitted mini-kitchen and study area but now with more clearance to enjoy them. More than enough room for two to share and the price doesn’t change. Everything you expect from Platinum but there’s no studio in the house larger than this.